Exams are over. Homework's complete. Assignments are handed in. Now it's time to pack up the family for some much-needed summer fun. Your ideal destination: the Smokies, famous for gorgeous weather and fun-filled summer attractions. Love theme-park rides? You're in luck. 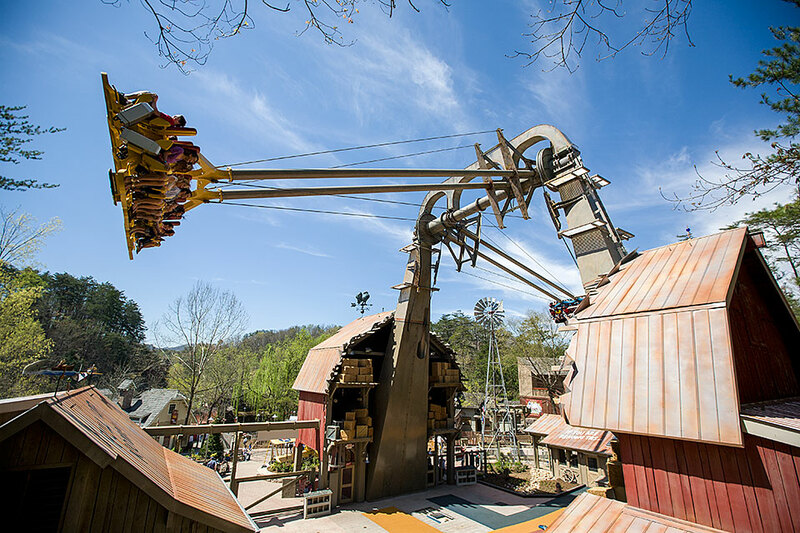 Dollywood is home to legendary amusements for thrill seekers of all ages, toddlers to teens to adults. For bigger kids (at least 42" tall), there's Daredevil Falls, a thrilling boat trip through an abandoned logging camp, ending with a 60-foot drop over a breathtaking waterfall. And for adventurers at least 48" tall, there's Barnstormer, a heart-pounding ride that soars 81 feet in the air and loop-de-loops 230 degrees, just like the legendary stunt planes of the 1920s. That's just for starters. Dollywood also provides plenty of other fun rides, including spine-tingling rollercoasters like Thunderhead, Lightning Rod, and Tennessee Tornado. And for summer 2017, three new attractions are slated to open: Drop Line, an exhilarating 200-foot free fall; Whistle Punk Chaser, a junior coaster for younger thrill seekers; and TailSpin Racer at Dollywood's Splash Country waterpark. Synchronized Fireflies: Every year, usually from late May through mid-June, the Elkmont area (near Gatlinburg) blazes with the glow of millions of sparkling fireflies. And amazingly enough, this light show is perfectly synchronized. First, the fireflies go totally dark for six seconds. Then they all light up in unison – six rapid times in a row – before going dark for another six seconds exactly. They repeat this performance over and over, from about 10 p.m. on. Elkmont is one of the few places in the world where this synchronized show's on display. But to get in on the excitement, you must enter a public lottery, which usually opens in April. Lottery winners shuttle nightly from the Great Smoky Mountains National Park's Sugarlands Visitor Center to the "performance site." Contact the Park Service for more information. The Trail Less Traveled: Luckily you don't need a lottery ticket to hike the Smokies' spectacular trails - just a good pair of hiking shoes! For kid-friendly rambling, check out Porters Creek Trail, a moderate, 2-mile, out-and-back trek that begins at Greenbrier Cove, about six miles east of Gatlinburg. Ready to chase away those school-year doldrums? Contact Volunteer Cabin Rentals now. Located in Wears Valley, just minutes from Pigeon Forge and Gatlinburg, we offer cabins of all sorts and sizes, complete with family-friendly amenities. Make your reservation today!